The world has over 6,000 languages, but how often have you heard Enochian? The Enochian language is a researched but still mysterious form of communication allegedly handed down from the angels themselves. Named for the biblical figure Enoch, the Enochian language has become a means of magic for the world of the Occult, although its validity has come into question over the years. 1) Enochian is an occult or angelic language that was recorded in the private journals of John Dee and his colleague Edward Kelley in late 16th-century England. Dee was a man of science-turned-magic seeker, and Kelley was a spirit medium who worked with Dee in his magical investigations. The men claimed that the mystical language was revealed to them by the Enochian angels. It is also referred to as Celestial Speech, Angelical, The First Language of God-Christ, and Adamical, because they believed it was the language first used by Adam and Eve - perhaps even the language God used to speak everything into being. 2) Dr. John Dee, born in 1527, was an occultist, mathematician, astronomer, astrologer, and advisor to Queen Elizabeth I who originally had little interest in the supernatural. Later on in his career, he became disillusioned with science and began experimenting with the occult. He believed he could recover lost spiritual wisdom in books of antiquity, among them the Book of Enoch. 3) The term Enochian comes from the Biblical figure Enoch. According to the Bible, Enoch lived 365 years before being taken up to Heaven - without dying. Genesis 5:24 says that he “walked with God” and Hebrews 11:5 states he “was taken from this life, so that he did not experience death.” He is one of two biblical figures, the other being the prophet Elijah, who left the Earth in this undead manner. John Dee believed Enoch was the last human to have known and used the language of angels. 4) In 1581, John Dee wrote in his personal journal that God had sent “Good Angels” to communicate directly with mankind. By the following year he was collaborating with seer and scryer Edward Kelley to communicate with these angels. They recorded hundreds of spirit conversations in their journals, including what they claimed was an angelic language called Enochian. composed of non-English letters, but bears very similar syntax and grammar to that of the English language. The Enochian alphabet. Image from Temple Illuminatus. 5) According to Dee and Kelley, The Enochian Alphabet was revealed to them during their “scrying sessions”, when various texts and tables were received from angels. Scrying is a technique used by seers, psychics, and sorcerers to foretell the future and involves gazing into a reflective surface to supernaturally receive messages from other entities. 6) There are two different versions of the Enochian Alphabet, with one script differing slightly from the other. The first version is found in Dee’s own journals, and the second, which is generally the more accepted version, is in the book Liber Loagaeth, which features Kelley’s original drawings of the Alphabet. Though Enochian is composed of non-English letters, it bears very similar syntax and grammar to that of the English language. The Enochian letters do have English letter equivalents, but some letters are pronounced the same as in English while others are not. Computer analysis has also shown Enochian to have a grammatical relationship to English. Unlike English, however, the Enochian script is written from right to left. 7) Due to the loss of parts of John Dee’s original manuscripts over the decades, the meaning, validity, and authenticity behind the Enochian language has been called into question. There at some magicians that believe it to really be the oldest language in the world, predating all other human languages. Some circles consider it among the most powerful strains of magic and methods of contacting intelligences from other dimensions. Disbelievers in either magic or Enochian itself contest that the foundation of Enochian is so close to that of Dee and Kelley’s native English language that is it surely their own, and not a divine, invention. A number of linguists who studied it have noted discrepancies in Enochian that reveal it is not a consistent language. 8) More modern day occultists have also found it difficult to reconstruct the Enochian system, although progress has been made by studying the original manuscripts found in the Sir Hans Sloane collection. From these studies, there have emerged individuals and groups who have created a functional system of magic, including occultists like the Hermetic Order of the Golden Dawn, Aleister Crowley, and founder of the church of Satan, Anton LaVey, who have used and popularized the Enochian language to certain extents. 9) In pop culture, the 1994 movie Stargate incorporated Enochian letters as the glyphs used to operate the arc angle. 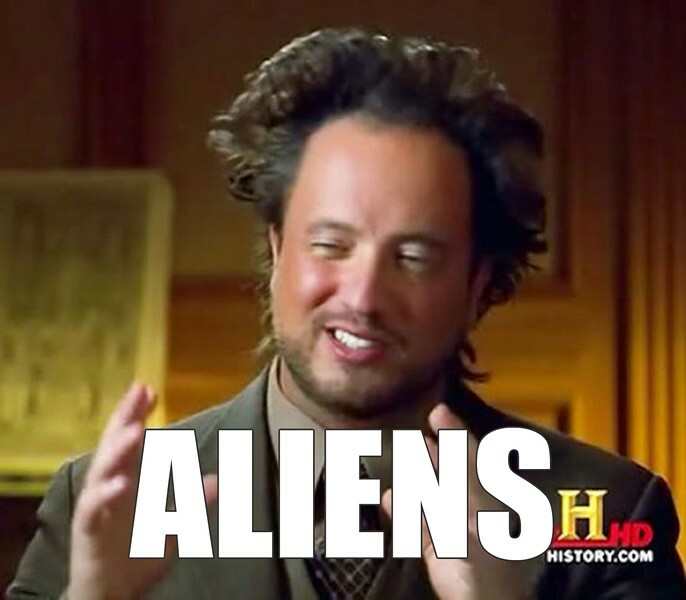 The Stargate film also focuses heavily on interstellar teleportation and ancient Egyptian culture. Interestingly, the movie debuted one year before the United States remote viewing program, known as “Stargate”, became public. 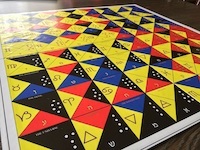 An Enochian chess board, with symbols, created by The Game Crafter. With this knowledge, it is even more interesting for us to note how in Episode 122, the guest describes the outside of the aircraft, in which he discovered the Enochian language in use, to be designed with a black checkerboard pattern. Was the outside of the aircraft itself a form of communication or identification for someone (or something) familiar with the Enochian system? For now the answer remains as mysterious as Enochian itself. The information above was supplied by Bryan Hill’s article Enoch: The Mysterious Lost Language of Angels and Wikipedia. I used to live in Texas and, being a runner, would often seek out wooded paths to run. One summer day–Friday, I believe–I went for a run in the evening (6pm) through a local park with a paved path through the woods. Everything started fine. The winds were picking up and a storm was approaching, but I thought I could finish the run before the rains hit. And then… I wake up and it’s the middle of the night and I’m stumbling around off trail, in the woods. I spend what felt like forever crawling around because I was so tired and dizzy, trying to find something to drink to slake my thirst. Not finding anything, I vaguely recall eating snails and insects to try to get some moisture. I eventually find my way back to the path, where a guy comes by and calls for help. I actually was missing for two nights and ended up with extreme dehydration. Doctors don’t think I would have made it another day. It turns out I was no more than a half mile from the path, but was too disoriented to figure that out. And the cover was too thick for the search parties to find me. I don’t remember much of anything that happened after I started my run. And no one has any idea as to what happened. This lady and her stepdaughter were crossing a busy street with many lanes, and as they entered the final lane before reaching the other side, they realized they were going to be struck by a car. But instead of the car hitting them, they both wound up automatically on the other side of the road. Then they appeared to have “hallucinated”, seeing themselves as though the vehicle had struck them. She can even describe the interior of the ambulance that she was transported in, and apparently later died in, even though she has never been in an ambulance before. Both experienced this. She says she wakes up every day unsure if she’s living in a dream. As I heard this story 15 years ago, it will not be 100 percent accurate. And it apparently happened another 20 years before I first heard it. This one hit a little closer to home. And I'm still questioning my sanity/memory. This evening my friend K. texted me that a former student of mine had been arrested for a certain misdemeanor. It was a real surprise to both of us, who'd have never expected such a thing from this particular student. We texted back and forth a few minutes, and this was while I was in Austin with my husband. We had just finished up at one place and were heading to another when K. and I were texting. I said nothing to my husband until a few hours later at a friend's house when the general subject of crime came up. I turned to, my husband and said, "Oh, yeah, one of my [identifier] students --" before I could finish, he said, "I know; he [insert specific crime]." "How did you know?" I asked. "You told me," he said. I tried to explain I had only just learned about this, even showing him K's text. He insisted that not only had I told him last week, but the two of us had even gone online to see if it had made the news yet. He even knew that it had happened in the very location that it had happened -- a detail he couldn't have guessed at. He said we did this search from his office in his study. We haven't found any trace of our alleged online search on any of our computers. I have no idea where this memory of his comes from. I only know that if I HAD known about the incident, I'd have told K. before going home and telling my husband. The fact that she was the one that told me proves to me I didn't know until then. Furthermore, I wouldn't have known about the incident UNTIL it made the news. In "The Mask of Time," Joan Forman has described many timeslips. Perhaps the oddest concerns a Mr. Squirrel, who in 1973 went into a stationer's shop in Great Yarmouth to buy some envelopes. He was served by a woman in Edwardian dress and bought three dozen envelopes for a shilling. He noticed that the building was extremely silent -- there was no traffic noise. On visiting the shop three weeks later, he found it completely changed and modernized; the assistant, an elderly lady, denied that there had been any other assistant in the shop the previous week. The envelopes disintegrated very quickly. Forman heard of the case and interviewed Squirrel; he was able to produce for her one of the remaining envelopes. Forman wrote to the manufacturers, who said that such envelopes had ceased to be manufactured 15 years before. Here goes, truly the strangest experience I ever had. A little background, I had recently moved in with some friends after losing a very well paying job. I was working as an asst. manager at a little country seafood restaurant at the time of this event and I spent a lot of time walking and meditating. And I mean sometimes 5-6 hours a day walking, through woods and around the rural areas on the outskirts of my home town. I will give you the sequence of events as I experienced them. I kept a journal at the time.. I get to work, Wednesday evening and begin getting everything ready to open. Right before opening, an officer anon comes to the door and rings the bell, restaurant is set up in an old colonial style house, I let him in, and set him up and made small talk. I asked where his partner was, they usually come in together. He tells me officer anon 2 passed away the night before, stroke in his driveway. As a teen, I had some interesting encounters with this officer. Me, black trans am, pot and rock and roll and him-hard nosed county sheriff. So, it affected me enough to write about it in my journal and tell the owner of the restaurant about it. Thursday passes with no incident. Friday, I turn the corner entering the front room at the restaurant and low and behold, officers anon 1 and 2 are sitting there waiting to be set up. I look like I'm seeing a ghost!!! Officer anon 2 ask if I'm ok, and I say I heard you were dead!! He says well no one told me, and laughs it off. Now I'm thinking his friend must have played a sick joke on me, so I go back and confront officer anon 1 and he denies ever saying anything. I ask my boss if he remembered me telling him about it, he says no. I go home and check my journal, there it is in Wednesdays journal entry. Ok, I'm a little freaked out. Saturday evening, at work, officer anon 1 comes in alone, i ask where's your partner? He proceeds to tell me officer anon 2 passed away friday night after leaving the restaurant, stroke, in his car, in his driveway. Has no recollection of me confronting him. Boss has no recollection of anything weird. Monday, check the obit. He died friday evening. Had to hold my journal next to the paper just to really get a grasp on what happened!! As usual, the long work day was coming to an end and I was dutifully putting the last load of laundered clothes away in our bedroom when I heard a ruckus on the baby monitor just a few feet away from me. I thought it strange when I knew my husband and toddler were both in the living room quietly watching TV as my two-year-old drifted silently off to sleep curled in my husband's lap as he caught the evening news. The bedroom door was straight in front of me and I could see all the way down the hall to my husband and son in the Lazyboy chair as this ruckus over the monitor continued. It didn't take long for me to realize the sounds were very familiar. Earlier in the day, I was in my toddler's bedroom putting a load of folded clothes into the drawers and picked up some stray toys and books that weren't being played with at the time. As I was doing so, I was telling my son about the story of "Jack and The Beanstalk" for the first time. Now I stood in disbelief as I heard the drawers being pulled open and shut and rustling of the toys and books being put into their proper places. But I nearly fainted when I heard my son's voice over the monitor! I kept looking back and forth at my husband and now-sleeping son in the chair in the living room and the monitor sitting on my dresser that was literally replaying the specific events from earlier in the day! The monitor is a standard baby monitor bought from Wal-mart and is NOT a recorder, but instead monitors the sounds coming from the room as they are happening at present time only. I listened as my voice retold the story of "Jack and The Beanstalk" and listened with familiarity as my son responded in baby-talk to the tail he had never heard before. The incredible part was this all happened five hours earlier on the same day! I quickly called my husband into the room as he listened to the last part of the story with my voice coming through the monitor and our sons coos and chuckles. He stood stunned and turned his head and looked at our sleeping son flopped peacefully over his shoulder. In disbelief, he asked, "How in the hell...?!" as his voice drifted off trying not to miss a thing. I just stared at him in the same disbelief and we both just shook our heads. This has never happened before or since and became pretty clear from the beginning that we were listening to some kind of warp in time. I never imagined in a million years that I would be witness to it and must admit, if it should happen to you, it is indeed, one of the most incredible moments one can ever experience! I swear this is a true story. My husband was carting wheat in the summer of 1994. He was outside Molong in NSW, Australia, and drove past a "For Sale" sign on a farm gate along with the agents details. Our 12-year-old son was with him. On the return journey, they stopped, climbed through the fence and walked up the circle-shaped drive to have a closer look at the old house. He said he could see through the window and found the old house old and abandoned. On his return home a few days later, we rang up the agent and asked for further details about the property, as we were interested in purchasing it. The agent had no idea what we were talking about and insisted that he had no properties for sale on that road. A week later, my husband and I drove to Molong to have a look at the farm ourselves. We drove up and down the whole road until we were almost to the next town. All that he could recognize was a water tank on the hill, a creek and some trees where the house used to be. There was no gate, drive, real estate sign... or house. I live in London and it was late October, 1969, and I was walking home late one Saturday night. I had to walk through an underpass, which was under the busy North Circular Road. It was cold and late and I was surprised to see about five kids down there collecting pennies for the Guy, being as firework night, 5th November, was soon. These kids should not have been out that late, seeing as the oldest was a girl aged about 12 years old and the others younger. What shocked me were their clothes. Their attire made me think they had come straight out of 1920s or 1930s London. Their speech could have been taken straight from a Charles Dickens' novel. I heard one young boy say, "That other gent gave me a florin." At his age there is no way he could have known what a florin was, an old English coin for the then two shillings. This was the late 1960s and kids certainly didn't use words like "gent" anymore. "Geezer" or "bloke" perhaps. The girl approached me saying, "Evening sir, penny for the Guy, please, sir?" Her politeness shocked me, but I said I hadn't any money. She slid her arm through mine and she ran her hand down my sleeve saying, "Yes you do, sir. You are a fine gent. You do have money." I assured her I hadn't and I expected a rude mouthful, but she replied, "Ok, thank you, sir. You have a good evening, sir." I knew I had to give these kids something, so I pulled a silver sixpence from my pocket and called her. I threw her the coin and she gave me a thank you and a beaming smile. I walked off into the night. This experience bugged me bad. Who were those kids from the past? I asked local people if any kids were killed there during WW2, but nobody remembered. Did I meet ghosts? Kids from the past? I guess I will never know. This story takes place in Austintown, Ohio on Route 76 back in 1981. I was 20. Dad asked me if I wanted to look at a house that was for rent. The next morning we went to his mom's house at 5:00 for some coffee. She asked what we were doing out so early. Dad told her that we were meeting a realtor at at 6:00. At 5:30, we left getting to the house a couple minutes before 6. As we pulled in the drive, we noticed the yard had not been cared for. The house was a rectangular two-story dwelling with front windows only on the second floor. As we got out of the van, it was a quiet, calm day except for two kids laughing in the back yard. We figured it was the neighbor kids from across the street. As we approached the back of the house, there was a swing set with two swings. They were swinging in opposite directions with nobody on them. There was laughter of a boy and a girl. Another quick glance and the swings were still. Dad asked if I had seen that. I had. We proceeded back to the side of the house. We passed the garage. It had two wooden doors with small glass panes. We looked in the window. The garage had a dirt floor and was empty. We walked up to the side porch. The door was unlocked so we went inside. Dad turned on the switch, but no lights came on. I tried a few with no luck. The inside of the house was weird. There was a large room with doorways branching off. The living room was like none I had ever seen. It was about 10x40 with no windows except for the small one in the door. I went back into where dad was. He was trying to open the basement door, which was locked. Dad asked if I was ready to go. Instead of leaving, he went into the living room and stared out the front door window for about three or four minutes. I was about to go upstairs when I got an eerie feeling. So, I stayed in the main area. Dad then came out and asked if I was ready to go again. At that point, dad made the remark that we hadn't tried that door. We had. It was the locked basement door. He turned the knob and the door opened. The hair on the back of my kneck stood up. Now I was getting scared. Dad flipped the light switch and it came on. I was wondering why the other lights didn't come on earlier. Dad proceeded to go down the steps, but I was leary. I went down. The basement was small. There was an old wringer washer with a loaded revolver on the lid. It was like the silver and ivory-handled cap guns that kids use today. I picked it up four inches off the lid and out of the corner of my eye, I saw a light cord moving. The lights went out and the door slammed shut. It was so dark you couldn't see your hand in front of your face. I felt aimlessly for my dad. Holding his shirt, we went up the stairs. At the top, he stopped and let out a blood-curdling scream. It made my blood run cold. I pushed him and he pushed the door open. All the lights were on and it was dark outside. After jumping in the van, dad turned the headlights on. The garage doors were open. There was a lamb lying on the dirt floor with its throat slashed, jerking violently. Blood was running into the dirt. When we arrived back at my grandmother's, it was 2:30 a.m. She asked where we had been all day. We had lost 21 hours in five minutes time in the basement. Later, we drove past the house and all the doors were shut and the lights were out. When I would ask dad about what he had seen, he would cuddle in the corner and shake like a kid crying. To this day, I don't know what he saw and I don't want to know. Since he has passed away, I will never know. When I went back in 1987, to see if the house was still there, it was boarded up. There was a large FBI sign on the house stating that for your own safety, stay out. This happened in 1986 in New York on the road between White Plains and the Throgs Neck Bridge. I was travelling the road one afternoon on my way home from White Plains to Bayside, Queens. The journey required me to travel the Hutchinson River Parkway, pay a 25-cent toll, and cross the Throgs Neck Bridge. The road before the entrance to the Hutchinson River Parkway was confusing. It was easy to miss the exit. I remember nervously looking at the 25 cents on the tray of my Volvo, wishing the toll would come sooner than it did so I could be on my way. That is when I missed the exit. I travelled about half a mile beyond it, and then in a panic, I decided to back up on the highway and see if I could get the exit after all. I backed up with oncoming traffic behind me, swerving the car to the shoulder to make the exit amid beeping and skidding, but I attained the exit with no damage. Just as I reached the Hutchinson River Parkway and got on it, I heard the siren. It was a highway patrol car coming after me. I figured he witnessed my crazy driving move. As I pulled over, I looked in the rear view mirror. The policeman that was getting out of the patrol car was the scariest one I had ever seen. Never mind the boots and the hat and the sunglasses, he just looked completely mean. I looked down at my lap and said out loud, "Dear God, I'd rather be anywhere but here." I went into my pocketbook to get my license, and when I looked up, my car and I were sitting on the side of the entrance to the Throgs Neck Bridge -- well beyond the Hutchinson River Parkway, which I hadn't driven yet. The 25 cent toll was still on the tray in my car. I had this funny feeling that I was frozen and I did feel stiff, so I flexed my wrists, rubbed my eyes and looked again. I was still on the entrance to the bridge -- a good 20 miles beyond the Hutchinson River Parkway. 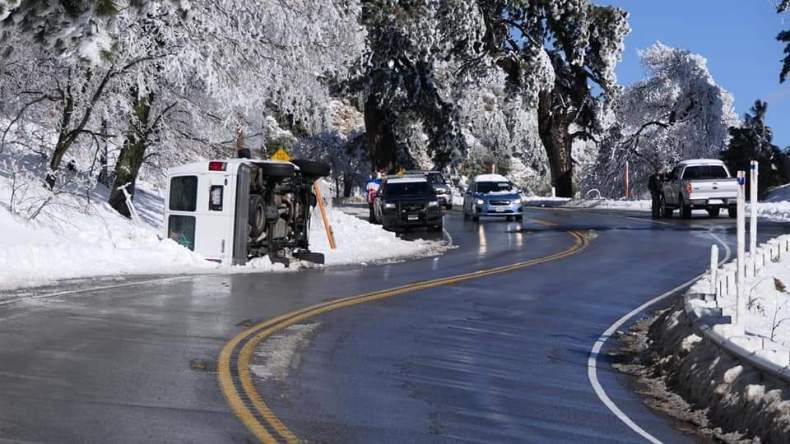 In order for this to happen, my car and I would have had to have been lifted in the air and placed back down 20 miles up the road. After sitting for about 20 minutes in shock, I put the car in gear and drove over the bridge. Just beyond the bridge was my neighborhood. I always wondered what the cop saw. Did he see me vanish? Did it just "un-happen" for him? I will never know. This happened 2 years ago, but I'm just putting it all on paper now. I'll try to keep this a brief as possible. In 2013 I was a senior at NYU in New York City. I was born in New York, but moved to Florida around 4 years old after my father died in a train wreck. He was also born in New York, lived there his whole life, and became a successful doctor with a practice in the Empire State Building. New York always felt like 'my town', in part because it was his town. He loved this place, and so would I. In November, I was walking around the campus near Washington Square Park. I'm walking with my girlfriend when I see a man from behind. There was a familiarity about him, and my interest was peaked. I sometimes day dreamed about what it would be like if my father weren't actually dead, and were still somehow alive. And how it would be to see him again. I was curious to see just how familiar this man looked, so I caught up to him and threw a glance behind me. He was a dead ringer for my dad. 5'7'', handsome, bright-eyed. His clothing was a bit dated, but I didn't think anything of it at the time. I slowed down and he caught me looking. He was staring straight into my eyes. It was my dad. I didn't know what to say. Dad? David? Mr. Greenwald? Name. Good place to start. I asked him for his. "David. Can I help you?" Now I'm starting to freak out. I'm looking directly at his face, studying it. Was my memory playing tricks on me? Was I losing my mind? I looked at my girlfriend wild-eyed, and could see she was starting to catch on. She knew what my dad looked like from photos, plus the PBS documentary about him I made her watch. Her neck was sticking out at a weird angle. Now I'm shaking. I start yelling at my girlfriend. Get your phone out! Record this! Get Photos! I wanted proof. I wanted something else to show me this was real. He starts to walk away. I felt the moment slipping away. "Dad! Do NOT ride the train. DO NOT RIDE THE TRAIN." I didn't know what else to say. I turn to grab the phone out of my girlfriend's hand and when I turn back he's gone. Vanished. Like he wasn't there at all. I asked my girlfriend what happened to him, but she was looking away too. I ran to the corner and looked around like a crazed mad-man. Nothing. After this incident, I was sick for days. I couldn't focus on anything. I didn't know what to do, who to tell, what to think. Then I remembered his diary which I keep. I've never read it, out of respect for his privacy, but it was his and so I take care of it. You can guess what happened next. I went to 1985, November, and started reading entries. His handwriting was hard to read - he was a doctor after all - but I did my best and I found it. "Walking to Elsa's when [illegible] the street in strange clothes stops me [illegible] questions [illegible] Told me not to ride the train. Pleaded, really. Scared me half to death [illegible] disappearing. Note to self: Consider carrying mace for future crazies. What am I supposed to think about that? What am I supposed to think about anything? I heard once that time is like a fabric, something that can fold on itself. A piece of 'cloth' rubs up against another piece and there's a bridge. I stood on that bridge and looked into 1985. People ask me why I walk home from work every day. All 30 blocks. Now you know why. If the fabric folds again I want to be there. A number of years ago, I moved to a small town in northeast Missouri. I was moving in with my stepmom and dad. My stepmom, Jolela, had had a couple of strokes and was now legally blind. She was refusing to move into a nursing home, and my dad was a truck driver at the time. I was also going through a divorce, so I needed a change of scenery. I had only been to the house sporadically prior to moving in with them, so I had never had any of the experiences I had after having moved in. At first, it was simple little stuff, noises, such as if someone was walking around upstairs, although it was only a one-story house. Or cooking smells, such as a roast, or fried chicken, even though it would only be like 11 am, and I had not done much more than a simple breakfast that day. Also, I was the only one smelling them! But I do believe my scariest moment was the vision I had while gardening one morning. I was on my hands and knees in the garden doing some weeding when suddenly, the quiet morning was exploding with noise, I looked up, and all around me were bodies, people yelling for a doctor, or their mother, people were just everywhere. About two miles down the road was a complete battle, I felt as if I was in the middle of the civil war, and it was in my front yard! I looked down, and as I did, it went silent again, I looked up, and I was back in my time. My house was there, my neighbors, my garden, and the blessed silence. I knew that I had fallen through a time slip. I was shaking badly, although the vision only lasted mere seconds, I will never forget the sounds and smells. Oh God, the smell, blood and rotting flesh, I hope you never smell that, it’s the worst. That night, the dreams, well really nightmares, began. When my dad was home that weekend, I asked him about the house’s history. He said that the house had been built in 1918, when it faced the other way, at the time, 2nd Street didn’t exist yet. Although today our front door faces 2nd Street, our driveway is off Beech Street. Our backdoor is on the south side of the house, but the driveway is on the north side. He said that the house at the time, the kitchen was more of a sitting room, with a doorway where the bathroom is now. During the fifties, there was a fire, and quite a bit of the south side of the house was lost, instead of rebuilding, they just remodeled into a smaller house. He also mentioned that prior to the house, there was a hospital, before the property was split into lots. “A hospital?” I asked “Yeah, it was begun during the Civil War. One of the battles was fought about two or three miles south of here, down towards Mexico Road.” I think I swallowed my own tongue about this time. “Yeah, they built a hospital and POW Camp here during the Civil War. It ran from 4th street (2 blocks east of us) to 1st Street (1 block west of us and now the main drag), and from Morris Street to Beech Street. At the time, it wasn’t split into all these lots and streets. 1st Street was Water Street, and Morris Street was the main drag that ran from Mexico Road to Hannibal Road. I believe the hospital was torn down in about 1910 or somewhere there, but I don’t know why, I know that a Dr. Mulder had a hospital over on the west side of town by then, so he may have just simply moved it over there. Why do you want to know about the house?” “Oh, you know me,” I said offhandedly, “like you, I love history, and was wondering about the house.” Our property was a Civil War hospital. OH MY GOD. I had been having dreams ever since the vision. One dream that I had, well it was the night before my dad told me about the history, and now it makes so much more sense. In that dream, I had been in battle, I was shooting a gun, and then suddenly, a man’s voice was yelling halt. He told us to stand down, and then we were being gathered together, and hand over our weapons to another group of people. I had tears coming down my face, I knew that we were giving up. We had to walk for about ten miles, then we came to an area that had two or three clapboard houses, and there was a field that was filled with tents. I was guided to a tent, my buddy and I were sent in. There were only a few blankets and some rations in there. We both ate the rations, as that had been the only thing we had eaten for two days. Then we later regretted having eaten it all, as it was going to be another day before we got any more food. I remember one scene a bugle had blown, and we had to stand outside our tent and be inspected. After that, the dream goes hazy, and then I woke up. That night, I had another dream. I was just me this time, I was walking through the battlefield, I was invisible. I could even walk through people. About the spot where my house today is, was a three-story clapboard house. I looked around, there were many tents as far as the eye could see, near me was a young boy, he could not have been more than 16 or 17. His arm was in a sling, he was laying on a blanket, and he was crying. I walked closer to him, and he looked up at me. “I can see you, I’m not supposed to, but I can,” he said. “I am going to die here, my name is Samuel Bennett, I am from Ohio. My father’s name is Martin, my mother’s name is Phoebe. Please find them, and tell my family that I did not die in vain.” He then turned his head away from me. I continued to walk, no one else saw me. I walked through the hospital and investigated as much of the hospital as I could. Again, I reiterate, please, I hope you never smell the smell of rotting flesh. About the area where my garden is today, I saw two men digging what I thought was graves, but when I investigated closer, I realized they had dug a hole about 12 feet down, and 12 feet wide. They were throwing rotting limbs into it. Cut off legs, arms, feet, hands. That is where the rotting smell comes from, my garden, I swore from that day forward, I would move the garden. Hi, this is the first time I have written in with anything but I specifically joined up to see if there was anything on here relating to my experience, there wasn’t so I’d love to hear what others say on this. I am still quite freaked out by this so I’ll do my best to set the scene a little bit. I recently left my job and have been unemployed for about a month. I went to an interview on Thursday last week for a job I really wanted, and they rang back on Friday morning to offer me the job. I was so happy and decided to go to the Tesco to get some nice food to celebrate. So anyway I walked out of the shop and set off walking home but I noticed someone staring at me out of the corner of my eye about 10m in front of me. I looked over and there was indeed someone staring back. The guy was identical to me, in every way, even down to the slightly pronounced underbite which is quite recognisable. And he looked terrified as he looked at me. As I met his eyes I immediately started feeling extremely nauseous and my hearing a thumping in my ears like I was about to pass out or something. I remember not being able to hear anything during this point as well apart from the thumping. So then, the guy turns away and walks into a side street and out of sight. The weird thing was that as soon as he broke the gaze I felt better straight away, like someone that was sitting on my chest just got off. So I carried on walking in that direction towards that side street and looked up it and the guy was sprinting – full on hell for leather sprinting – down the street away from the corner in which I saw him. The guy was dressed in a nice suit with an open collar black shirt and it was weird to see him running in that gear. I spoke to friends as soon as I got back and they told me that the area of Liverpool centre where I saw the person has been known to have something called time-slips which can be explained with this video - http://www.youtube.com/watch?v=m4782MavWl4. But this wasn’t the same as the other experiences described in that video, this guy was the same age approx. in the same style suit that would be worn today. The year is 2006 and Sean a 19 year old drug is caught shoplifting and is being persecuted by the security guard down Hanover street in the city´s center. Sean turn into a street and soon discovers it´s a dead end. He is now out of breath and expects the security guard to turn into the street and get him any moment, but he keeps running hoping he will find a way to escape. Sean starts to feel a strange pain on his nape; he feels the ambiance around him has changed and realizes that there is no security guard after him anymore. “Probably he gave up running after me” thought Sean. Sean gets back on Hanover street but everything looks different. The pavement, colors and overall lighting is different and all cars are from the 1960´s. The roadworks he had seen a few minutes before had disappeared. People are all dressed in a more formal and old-fashioned way and stare at him. Sean gets to Bold street and notices traffic lights in places where they should not be and bushes and a small park he had never seen before next to the Lyceum building. He also notices a bar he knows but although the name is the same the signpost is different. He keeps walking without a plan of action in a very confused state and eventually starts entering into panic. The only way he can explain all this is that he has a experienced a timeslip into the past. He has already been in the past for some minutes, and worries that he will be stuck there and never return. The thought of his friends and loved ones reminds him of his mobile phone. He gets his mobile out but he has no signal. When he passes in front of a newspaper kiosk on Ranelagh street next to the central station he goes and has a look at the date on the newspaper. It was Thursday the 18th of May of 1967. He had gone back 39 years.He continues his walk and finds himself on Bold street. When outside a jewelry store (H. Samuel), he enters; the store´s interior is back to the present time; he picks his mobile and this time is relieved to see that he has coverage. Looking outside of the store windows everything is still in the past. When Sean gets out of the store everything suddenly returns back to the present time. Relieved, he only wants to go home and hurries to the bus stop. The journalist discovered that the descriptions given by Sean are accurate and correspond to how Liverpool looked in the sixties. When investigating further it was discovered that the security guard chasing Sean declared to the police that the young man just vanished in thin air. To hear more accounts of time slips, lost time, and shifting realities, check out the following episodes of The Confessionals, available at www.theconfessionalspodcast.com, iTunes, or most podcast players: Episode 51 - Entering the Matrix of Lost Time, Episode 64 - The Disappearing Church of the Woods, Episode 78 - Abducted with Lost Time, and Episode 122 - Secret Military Enochian Technology. Which of these strange stories creeps you out the most? Share with us in the comments! So I've read nearly every post on here and have yet to find anything that sounds exactly like what my friends and I used to call the white thing. I grew up in rural Pennsylvania and a big group of us used to hang out at my friends parents house. His dad was a doctor so they had this huge house deep in the woods so we would spend basically every day and night here. Everyone knew about the white thing and honestly just hearing about it scared me so much i hated walking to my car at night there, the woods just seemed odd. I had never personally seen it, but I wasn't allowed to spend as much time there as most of the other kids but I trusted what they told me. They always talked about the white thing as they called it, and described it as about 7-8 feet tall, pure white, humanoid body type, and could run extremely fast. Everyone who had seen it encountered it a few times but was never able to get a great look because the minute it was spotted it would run back into the woods. The weirdest encounter was when the family's aunt went on vacation once she left her tiny dog to stay at the house while she was gone. It was a really nice dog and she hung around and played with us the week she was there. She never strayed too far from the lawn and was obviously trained. One night she went out to use the restroom and then never came back. They found her collar and everyone assumed the white thing ate her. No one ever really talked about her again. The really strange thing was when I was in college I was being interviewed by the archivist for a series of books he wrote about myths and legends of PA. We were talking about this road from that same very small town (about 800 people) that has a lot of typical scary legends around it. After we were done we were just chatting and he said he'd come across a few old reports of a werewolf in that town from the early 1900s I think. He asked me if I had ever heard of that and I told him about the white thing and he seemed a little surprised but that is as far the conversation went. I moved away and don't really visit there much or talk to any of those people anymore but I wonder if it still exists or if it ever did or was just a story a bunch of kids talked about until they all believed in it in some way. Also my interview was never included in the book which was pretty disappointing. Sorry if this was lengthy but I was wondering if anyone else had anything similar? Maybe an albino dog man? Is “The White Thing” really a white Bigfoot? A rake sighting? Something new? Share your theories in the comments! Have you ever come face to face with your doppelgänger? Would you want to? These days the term “doppelgänger” is used to describe two different people who look unusually alike. The internet practically abounds with photos of identical-looking celebrities, people who’ve discovered their so-called doppelgänger in old artworks, and complete strangers who look like they could be long-lost twins. It’s actually eerie how closely most of these people resemble each other. But the original meaning of “doppelgänger” is even eerier. When translated from German, the word “doppelgänger” literally means “doubler walker” or “double goer,” describing not a lookalike but the ghostly counterpart of a living person… and meeting one’s doppelgänger was never a good thing. Doppelgänger apparitions were sinister occurrences, bringing with them bad omens and evil intentions. In traditional folklore, they are known to impersonate the person they resemble, plant negative and confusing ideas into others’ minds, and signal some kind of impending doom for their earthly counterpart. These demonic doubles are seen as harbingers of illness, tragedy, and death. While many explanations of the doppelgänger phenomenon have been offered - including supernatural manifestations, electrical glitches of the brain, and mental illness - what is known for sure is that the “double walkers” bring bad news for those who see them, as recorded by a number of spooky historical accounts. Catherine the Great was the formidable and longest-ruling female leader of Russia, reigning from 1762 until 1796. Though Catherine took the throne by way of a coup that overthrew her own husband and usurped power from her son, who was rightfully the throne’s next heir, her extended rule became known as the Golden Age of Russia. Shortly before her reign came to an end, something unexpected took to Catherine’s throne, literally - the creepy double of Catherine herself. According to the account, Catherine was in her bedroom when some troubled servants came to tell her they had just seen the Empress entering the throne room, even though she had been lying in her bed at the exact same moment. The Empress went directly to the room to investigate the servants’ claims. Once there, Catherine encountered a second version of herself, seated calmly on the throne. Ever formidable, the real Catherine ordered her guards to fire on the spectral queen. Presumably, the bullets had no effect and her doppelgänger disappeared with no further recurrences, but not long after this event, Catherine the Great collapsed and suffered a stroke. Within hours she became comatose, and by the evening following the stroke, her reign permanently ended. Elizabeth the First ruled England from late 1558 to early 1603. The daughter of Henry VIII and the beheaded Anne Boleyn, she was the last of the Tudor monarchs to assume the throne. Queen Elizabeth is often referred to as “The Virgin Queen,” as she defied convention by refusing to marry or bear an heir. Her long reign, known as the Elizabethan era, was not without controversy, but did see a flourishing of English drama (through no less than the works of William Shakespeare) and successful seafaring exploits (such as Sir Francis Drake’s circumnavigation of the world), among many other successes. 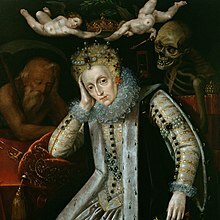 Though Elizabeth I achieved a long reign, death still sought her out, and allegedly gave her a preview of its coming by way of a dead doppelgänger. According to history, Elizabeth was said to have encountered her own person lying in state like a corpse in her chambers. The doppelgänger was described as “pallid, shivered, and wan,” and though Elizabeth was level-headed and not prone to fantasies, she seemed to know this strange sight meant something ill-fated was in store. Only a few days later, Queen Elizabeth I, aged 69 and monarch of 44 years, was dead in actuality. 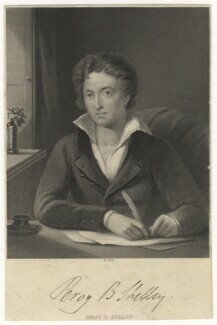 Percy Shelley was one of the major English Romantic poets, composing such pieces as “To a Skylark” and “Ode to the West Wind.” Unfortunately Shelley never truly saw fame during his lifetime, and was most typically known for being husband to Mary Shelley, the author of the famously known horror novel, Frankenstein. Percy Shelley had a short life marked by tragedy and turmoil. As a child he was tormented by his schoolmates. As a young adult, Shelley eloped with his first wife whom he later abandoned, and who was also later found dead in a lake, drowned and pregnant. He had several other failed love affairs before marrying Mary Shelley (and is suspected of some afterward as well). Both he and Mary lost three of their four children together, and Mary’s sister Fanny committed suicide. With a life marked by such sad events, it’s no wonder that, shortly before he died, Percy confessed to Mary that he had many times seen his doppelgänger, a harbinger of bad luck for him and those in his circle. On one such occasion, Percy was strolling on the terrace of his house when he came eerily face to face with his double, who spoke to him, asking, “How long do you mean to be content?” In a strangely similar sighting, Percy’s friend Jane Williams also seems to have encountered Percy’s spectral twin on the terrace, where she claims to have seen him pass by the window several times, but when she went out to him, Percy had disappeared. Jane received the shock of her life when she soon realized that the real Percy was not at home at all. In one of the final instances of Percy’s encounters with his doppelgänger, he claimed to have seen himself on a beach, pointing out at the sea. Not long afterward, Percy was drowned in a sailing accident in 1812, at the ripe old age of 29. Abraham Lincoln was the 16th president of the United States, serving as the country’s leader through its bloodiest conflict on its own soil, the American Civil War. He is also remembered for abolishing slavey, modernizing the U.S. economy, and preserving the Union. Not as widely known is that Lincoln had an interest in spiritualism and the supernatural. Having lost two children at young ages, Lincoln’s wife Mary frequently invited mediums to the White House to hold seances, some of which were attended by Lincoln himself. Though he seemed to contend that most mediums were hucksters, Lincoln did believe in the power of dreams to predict the future. He even had an alarmingly accurate dream (unbeknownst to him, of course) in which he walked through several rooms of the White House to the sound of crying, before discovering a dead shrouded body lying in state. Dream-Lincoln asked a nearby soldier to whom the body belonged; the soldier replied it was the President, murdered by an assassin. Critics of the story of Lincoln’s deathly doppelgänger argue that his double image was nothing more than a defect in an old mirror. While that theory is a possibility, the fatalistic Lincoln and his wife Mary believed it was a sign of bad things to come, and fate proved them right. Sadly, we all know how Lincoln’s life story ends, when he was shot in the head and killed by John Wilkes Booth on April 14, 1865, three months into his second presidential term. Celebrated French author Guy de Maupassant, who lived and wrote in the second half of the 19th century, is considered to be the father of the modern short story. Though he did write several novels, including Bel Ami, his short stories totaled over 300, and quite a number of them featured themes of the supernatural and paranormal. One such story, called Le Horla, tells the tale of a man afflicted by an invisible spirit that he unwittingly invited into his home. Gradually the spirit haunts him with increasing ferocity as he begins to lose his mind, and he takes drastic measures, by way of suicide, to rid himself of his tormentor. What makes Le Horla even creepier is that Guy de Maupassant is said to have written the story with the help of his own doppelgänger. Maupassant had reason to believe his sightings of his spectral double were hallucinations, as a long battle with syphilis had left his mental state slowly deteriorating. As time went on he became increasingly unpredictable and paranoid, even becoming obsessed with the idea that flies were eating away his brain. After writing Le Horla in 1887, Guy’s disease-induced madness culminated in a suicide attempt and admission to an asylum in 1892. In 1893, the disease took his life entirely. Whether the presence of Guy’s doppelgänger was of a supernatural nature or whether it was the visual and auditory hallucination of a sick man is not a point that can be proven on either side, but the story of his other self is nonetheless disturbing. At best or at worst, Maupassant was either visited repeatedly by a paranormal apparition of death, or spent his time alone talking to an empty room and writing with a companion who didn’t even exist. It‘s not immediately obvious which of these scenarios would be the best and which the worst. What is obvious is how closely Le Horla, his doppelgänger-inspired tale, comes to resemble an autobiographical work, capturing Guy de Maupassant’s final battles with his own demons, be they metaphorical or supernatural ones. What’s the spookiest doppelgänger story you’ve ever heard? Share it with us in the comments! For a modern doppelgänger tale, check out The Confessionals Episode 117: Gorilla Man, Doppelgangers, and Demons, Oh My! ‘Forensic analysis by scientists in the U.K. may have unmasked Jack the Ripper more than a century after the murderer's brutal killing spree sent shockwaves through Victorian London. Research by Dr. Jari Louhelainen, senior lecturer in molecular biology at Liverpool John Moores University and Dr. David Miller, reader in molecular andrology at the University of Leeds, claims to shed new light on the notorious serial killer. In an abstract of their research published in the Journal of Forensic Sciences, Louhelainen and Miller explained they used what is, to their knowledge, the only remaining physical evidence linked to the murders, recovered from one of the Ripper's famous victims at the scene of her death. Jack the Ripper is thought to have claimed the lives of at least five women in the Whitechapel area of London between August and November 1888. However, the identity of the notorious murderer remains shrouded in mystery. Science Magazine reports that the scientists analyzed a blood-stained shawl from Catherine Eddowes, the fourth of the so-called "canonical five" Jack the Ripper victims. Eddowes was killed on Sept. 30, 1888, and her badly mutilated body was found on Whitechapel's Mitre Square. The scientists' genetic testing linked Aaron Kosminski, a 23-year-old Polish barber living in London, to the crimes, according to Science Magazine. Although identified as a Jack the Ripper suspect, police are said to have lacked sufficient evidence to charge Kosminski for the murders. "We applied novel, minimally destructive techniques for sample recovery from forensically relevant stains on the evidence and separated single cells linked to the suspect, followed by phenotypic analysis," say the scientists, in the Journal of Forensic Sciences. "The mtDNA [mitochondrial DNA] profiles of both the victim and the suspect matched the corresponding reference samples, fortifying the link of the evidence to the crime scene." Mitochondrial DNA is often described as the "powerhouse of the cell." Kosminski had been identified by a witness to one of the Jack the Ripper killings, although the witness refused to testify against him, experts say. However, the latest research claims to back up the witness who pointed the finger at Kosminski. "Genomic DNA from single cells recovered from the evidence was amplified, and the phenotypic information acquired matched the only witness statement regarded as reliable," said Louhelainen and Miller, in the abstract. "To our knowledge, this is the most advanced study to date regarding this case." Science Magazine reports that, while Kosminski has been linked to the horrific crimes before, this is the first time that the DNA evidence has been published in a peer-reviewed journal. Is Aaron Kosminski truly the Demon Barber of Whitechapel? It has long been speculated that Jack the Ripper possessed some kind of medical knowledge due to the way he cut apart his victims. But it is also possible that a barber, responsible for precisely cutting hair and shaving faces (and necks), would have similar handy skills when wielding sharp implements like scissors or a blade. For centuries there were even so-called “barber surgeons,” who were exactly what they sounded like - barbers with limited medical knowledge who performed surgical procedures, from tooth-pulling to bloodletting to limb amputation. Though the practice of barber surgeons was largely ended in the early 19th century, could Aaron Kosminski have studied their methods, and applied them to carrying out gruesome serial killings? Another interesting detail is the timing of the killings, which is still up for debate. 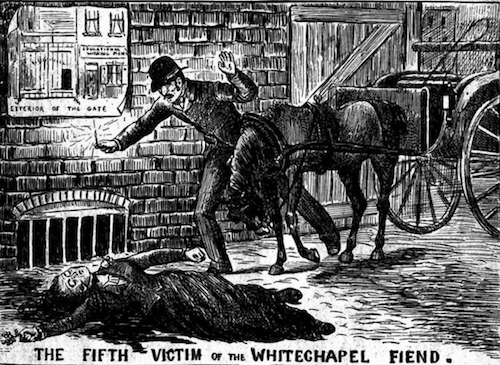 Though the canonical number of murders committed by Jack the Ripper is five, all in 1888, Whitechapel actually saw 11 brutal and unexplained murders which finally ended in 1891. Also in 1891, suspect Kosminski was admitted to an insane asylum. He would remain in asylums until his death in 1919, reportedly suffering from auditory hallucinations, a paranoid fear of being fed by other people, and a refusal to bathe. Could he be responsible for any, or all, of the Whitechapel murders? With so many years elapsed between Jack the Ripper’s reign of terror and the modern day investigations into his identity, it may be that not even DNA can conclusively solve his mystery. But it certainly does not stop us from continuing to speculate, theorize, and find ourselves morbidly fascinated by this unknown killer of legendary proportions. Was Jack the Ripper really Aaron Kosminski, or is the identity of the true murderer still at large? Share your own theories with us in the comments! “Last summer me and two friends went camping in the Knapdale Forest in Argyle and Bute area of Scotland it’s very mountainous and covered in dense Forests and woodlands/Creeks and Caves. We would camp for several days in the summer weather permitting but this long weekend break was very warm we found a perfect place to pitch the tents in some tree cover from the sun keeping the temperature down inside the tent. After a good days fishing and cooking our evening meal my friend Matt went to bed while me and John had a chat and drank a Budlight it didn’t get dark until around 10:20pm in the evening at around 9:00pm me and John heard a strange noise coming from in the woods loud enough to be heard over the small waterfall and creek. We don’t have any large predators in Scotland anymore sadly only Deer/Birds/Beaver none of which it was made this noise and to our knowledge nobody else was around we trekked 3 miles from the main road to get here! We always wear dark clothes in the woods and dark paint or camouflage even while fishing, we followed the noise up over the ridge down a small hill and over a stream like body of water the noise was getting loud but it sounded like two people speaking or disagreeing maybe two lost tourists from somewhere in Europe was my guess until we sneaked over the ridge crawling on our stomach trying not to be seen. As we looked down on to the creek I can only describe what I seen as two Goblins around 2/3ft tall dark grey/black skin with a similar face to a human just a few big wrinkles like a Pug, both of them had large stones in their hands and pointing into the trees, looked like they were arguing about letting an animal they were hunting get away which could only be small Vermin squirrels I’d guess! They then walked away from us into the trees after the argument you could hear them talking and laughing as they disappeared. 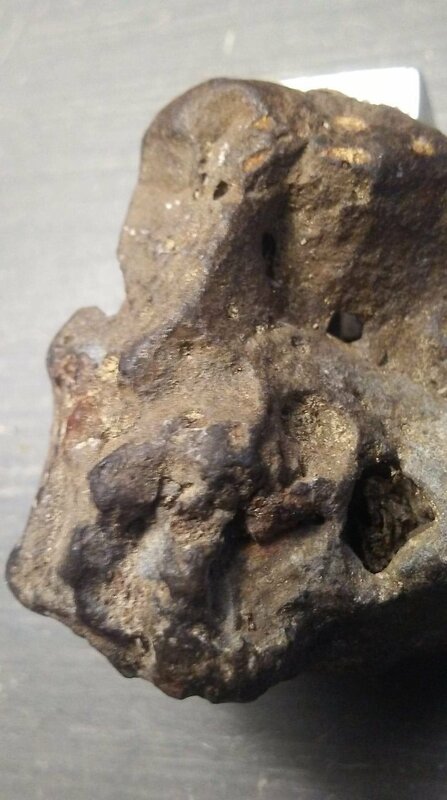 The next day we told Matt he said he heard voices earlier that day close to the camp but never thought anything of it we took a walk back with Matt and found a cave like structure 6ft wide in the ground I can only guess that’s where they came from. Was it a drone? Have you heard of small UFO stories before? If you have any information or explanation for this unusual sighting, let us know! “… In Qatar I was finishing up my deployment. It had only been 6 months and 1 month to go, but it had been a long six months. I had some down time so I went to the showers. No sooner than turning the faucet knob, I heard my Staff Sergeant asking another Airmen if I had been in the shower. So I quickly soaped my body and just as I was finishing rinsing Sergeant slid the curtain and began briefing me for a post that I was personally requested to man. It was very odd, I know I'm a free body right now, but I'm not that well known and this was a very high security area. So I gathered my gear and headed to the armory for my weapon and transport to arrive. Expecting an armored Humvee, as we always traveled in, I was surprised to see a taxi from the city of Dubai pull up. Not thinking that this was my transport, I just stood there. Focused on this vehicle, it had obviously been allowed on base, but very weird to see a taxi in this area of the base. A Saudi Arabian man was the driver. He was a civilian, but seemed to carry himself as if he worked for someone, maybe powerful. Probably worked for us. Anyway, The man stepped out and asked for me personally … I asked him if I could ask him his name, but he just kept walking passed me, and walked into the armory where he made contact with someone. He then walked out and my Sergeant leaned out of the door and said go with him, man the post and closed the door. I hesitantly followed the man to the car where he asked me to sit in the back and unload my weapon. I did get into the back seat opposite of him so I could see him, and I removed the magazine from my weapon, leaving a round in the chamber. We then crept of the base, out of the heavily manned gates and into the darkness of the desert. The desert here is more like what we see, maybe out west here. We traveled in darkness with very dim headlights for I remember like 35 minutes or so. I didn't make conversation or press him for questions. I focused on my surroundings and his body behavior. We began approaching a light, at this time I am already tired. I had been awake for 14 hours and the post I was to relieve would be a 12hr plus shift, so I remember thinking when I saw the small light, man I'm going to fall asleep and go to jail. As I watched the light and as we got closer a very surreal feeling began to wash over me. I'm not sure if it was just the strangeness of the whole taxi driver or if it was just that I was tired but I felt like we were approaching a dream. Like we were leaving reality and going into an isolated realm. As we reached the destination, we both exited the vehicle. I immediately placed the magazine back into my weapon, and waited for the driver to walk on ahead of me. I double checked I had everything and followed the driver to the post. I noticed that the post was a very small, mobile shack. It had a window, a sign in sheet with very few names and a pen. The man I was relieving was and Army staff sergeant. He looked at my rank and asked me my security clearance. He then contacted his control via radio and looked at me and nodded. Then he followed the driver back to the taxi. I observed the shack, and stepped out to the Area of Responsibility to begin my shift. I looked back at what I was securing. The whole area is surrounded by c-wire, kind of piled and arranged as a border around the area, then a buffer zone and then another border of c-wire in which stood about 4' high but was spread out about 5'. There is a very large, sand colored tent in which is being used as a SCIF, or a sensitive compartmented information facility, in the middle of all of this backed up against a hill that is about the same height as the tent . It stands about 10' tall in the center, but looked to be 30' wide by approximately 50' long. The tent, was more like a building. There was no noise coming from it and I heard that they are camouflaged to radar and aerial photography. I noticed what looked like large transformers and IT equipment, also camouflaged. I saw large dollies used to move these units around, and I noticed that all of the cables converged into these sealed tight holes going into the tent. It was poor lighting and I didn't want to seem too nosy so I focused on the area surrounding the post and stood, stationary at a position that gave me maximum view of all avenues of approach. Maybe I did glance at the vastness of the stars periodically. Besides the night felt very surreal. I wouldn't say bad energy. But very quiet, very weird. I felt like I was on the set of a movie and everything around me was actually props, and even the sand wasn't real. I began imagining that I was somewhere else. I imagined that I was actually looking at the sky from my childhood home. Suddenly two men in army uniform walk out of the SCIF, the sign in sheet seems to have no sign out area so I try to engage these men. I notice they have brass so I salute and ask for their names. They are talking and they both salute, but ignore my question and just keep walking. I see no vehicles except for a white Ford Escape that they do not approach but keep walking into the dark. Now, I'm not completely sure how far from Dubai, or another SCIF or base we are, but I am stumped as to why they were walking this distance. Anyway, I go back to work and all is well. After about 8 or 9 hrs of nothing, no sign ins or anything I am standing next to the door of the shack staring at the beautiful, awe inspiring sunset. It was so beautiful that it made me think of god and thank god for this beautiful sunset. As I am doing this, I am feeling the most beautiful, feeling I have ever felt, a man gently lays his hand on my shoulder. This did startle me a bit, but my body did not jump. I looked back at him then turned around to see an older man. A white man, with white parted hair. He looked to be in his early 70's. He had the most welcoming smile on his face and he just opened up his arms. I felt a feeling that I will never be able to fully describe. I felt like I just walked up to my actual older brother, Micheal in the middle of the dessert, 3000 miles from home. But yet, I did not know this man, not at all actually. Never had saw him sign in. I never even noticed him coming out of the SCIF. I did hug him back. Actually I embraced him and felt a love from him I had not ever felt from even my own parents. He placed his hand back on my shoulder and looked straight into my eyes. And with a very humble tear in his eyes he began to explain. He did speak English, however he was in civilian clothing, I guess what you would expect a 70 year old man to wear, like dress pants and shoes, with a dress shirt and jacket. I believe it was like a navy blue jacket, maroon shirt and navy blue pants and black shoes. He had an accent, however it was super weird. I had never ever heard an accent like his. It was almost gibberish but also very clear. I know. He explained to me that he was so excited to have this chance to see me. He said that we are great friends. We have lived many lives together. He said you are my brother, my best friend, my father, my husband. He stated, that we have lived many many experiences together. As he's explaining this to me he has his hand on my shoulder the whole time. I begin to feel an extremely weird almost Deja Vu feeling. And I feel such a connection that his presence feels eerily familiar. I remember feeling almost dreamlike and so overwhelmed with emotion that I was crying. Not hysterical, but just listening yet in a like hypnotic trance. He just kept going on about our life's together until we were interrupted by two army officers walking up to the gate, I hadn't noticed but they had just pulled up in a white ford eacape, I never even heard them. They were fast approaching when the man looked at them looked at me and said, so patiently. " what a pleasure to have gotten this chance to see you, he gave me a half hug, looked me in the eyes, then looked into my shack and said give your' family a call. In my mind I said I wish, and I began to ask him his name when he turned around and just so persistently began walking back to the tent. He was going in the door when the officers said hey Airmen we don't salute here or what. I snapped to, apologized and signed them in. When I went back to the shack however, I found a phone sitting on the desk. An old school, corded landline phone that had dial tone. I understand that I had to use a certain number to dial the states and thought I was out of luck when I found the number on the face of the phone. So I called my mom, then my brother, and many more people until my shift was over. Have you ever experienced the mysterious man in the desert, or someone like him? If so, share with us in the comment section! Rocky Elmore BORDER PATROL TV SHOW in Production! On Episode 15: Confessions of a U.S. Border Patrol Agent, Rocky Elmore, former Border Patrol agent and author, shared some of the paranormal experiences he and his fellow agents faced while working long nights on the border. Now, Rocky is bringing border patrol stories to TV and the web! 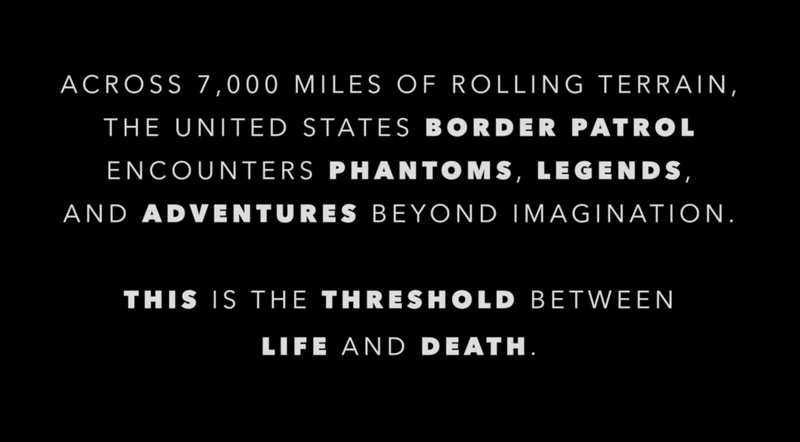 THRESHOLD: MYSTERIES OF THE BORDER PATROL is a half-hour docureality series that will investigate the Border Patrol’s adventures, murders, and myths. Currently in development, the show chronicles dangerous and mystifying happenings along the 7,000 miles of America's borders, including rescues, disappearances, murders, and much more! Each episode will feature stories and reenactments that will grip fans from the very beginning - they're not your typical campfire stories! To learn more about THRESHOLD: MYSTERIES OF THE BORDER PATROL and to support the series, check out its crowdfunding campaign here: THRESHOLD: MYSTERIES OF THE BORDER PATROL WEBSITE! Who will be watching this exciting new series? Tell us below! There’s gold in them thar hills! And if you can find it, it’s yours. This fun story already made the internet rounds a few years ago, but it’s recently making its way back into the headlines. It’s an intriguing tale of hidden riches and remains still unsolved— which means one millionaire’s buried treasure is still up for grabs! In 2010, Forrest Fenn stashed a bundle of gems, gold coins, and gold nuggets somewhere in the vast Rocky Mountains, and then wrote 9 cryptic clues to the treasure’s whereabouts. His buried bounty is free for the taking for anyone smart enough— and survivalist enough— to crack the code and locate the gold. Thousands have gone searching. Three have even died in the attempt. 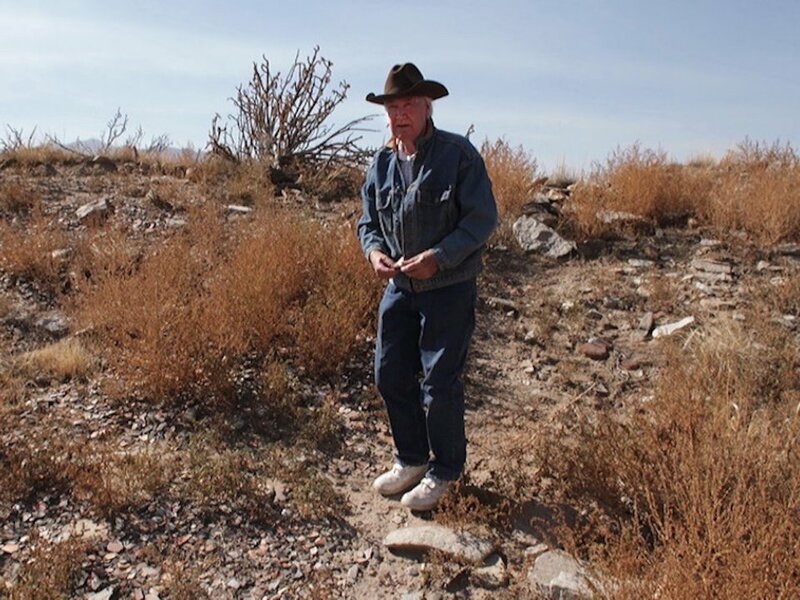 Will any modern-day treasure hunter ever find Forrest Fenn’s fortune? CLICK HERE to learn more about Forrest Fenn and his treasure!